The obsession with fair skin is not dying down anytime soon in the subcontinent. While, people and Bollywood stars have openly started criticising fairness creams, the problem is too deeply rooted for it to be eliminated soon. Bollywood superstar over the years has endorsed a few fairness products and received criticism for those as the world evolved. Speaking on the matter in an interview with the Times of India, Khan said that he has never tried to be dishonest to his followers and doesn’t judge people based on their looks. “Well, if I still smell a little honest beneath all that’s public about me, then trust me, I’ve never tried to be dishonest with anyone. I mean, who am to do so? I was never the best looking guy, the tallest person, the most able-bodied person, the best dancer, the guy with the nicest hair, not from a fine lineage and I did not come from an acting school that taught me to be a Hindi film hero. So how can I belittle someone on any of these seven-eight aspects?,” he said. 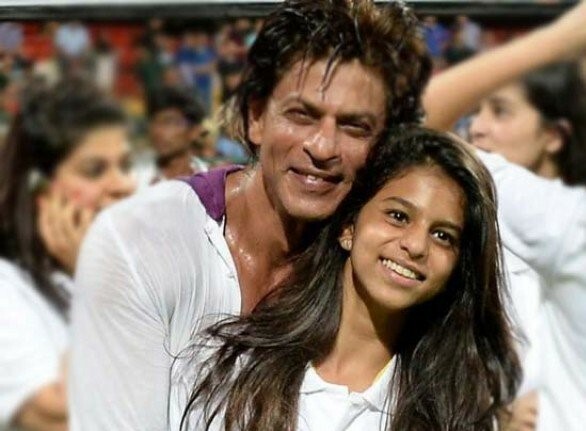 Suhana turned 18 this year and in an interview with Vogue shared that she wishes to be an actor in the future. She is currently pursuing her education in London in a private boarding school.